Send flowers online with free shipping! What do sunflowers make you think of? For us, it’s warm days, happy thoughts, and open, sunny skies. 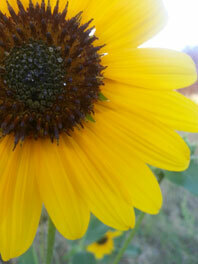 The sunflowers themselves purposefully open to directly face the sun, welcoming in warmth and brightness. Across cultures they stand for various things, including adoration, loyalty, good fortune, vitality, and a long life. The bright yellow petals have their own symbolism, from intelligence and happiness to the spiritual desire to seek light and truth. Though sunflowers are most often associated with summer months, they are actually available all year round. And here at Flower Explosion, we consider them the ultimate summer and fall flower. The sunflower is an ideal flower for bringing a big burst of color and brightness to your fall or summer event. 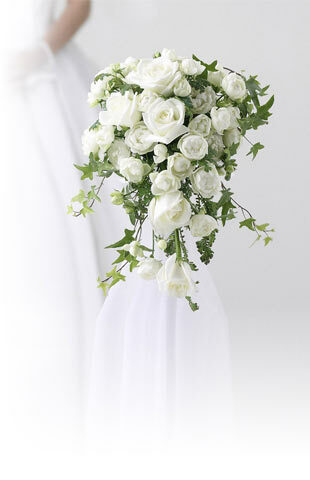 They make excellent choices for graduation flowers, wedding centerpieces and bride and/or bridesmaid bouquets. Due to their yearly availability, you can even use the sunflower as a way to perk up winter and spring floral arrangements. The sunflower is uniquely tied to love and loyalty, and as such, they’re wonderful fresh flowers for anniversary presents as well. Many people specifically gift sunflowers on third anniversaries as a sign of the strength of the relationship. For those who want sunflowers but also want to go with something even more eye-catching, check out our red tinted versions. They have all the bright boldness of a typical sunflower, with a little something extra to make them unique. It’s impossible not to smile when you get a delivery of fresh flowers. We make it easy to send flowers online to someone that you love. Instantly brighten someone’s day with a fresh sunflower arrangement—we promise they’ll love it. Have an event coming up? Do some online bouquet shopping and take some of the stress out of planning your wedding, or order your graduation flowers now so it’s one less thing that you have to think about as the day comes closer. The process is quick and easy. Simply choose the sunflower you like the best from our collection, and we’ll have your flowers hand-cut fresh to order from one of our more than two dozen farm partners across the globe. Then we’ll carefully package them and ship them right to your door. Sunflower delivery is free with FedEx and guaranteed through tracking. It’s also quick—you can expect your shipment to arrive within just three to four business days. For event planners and florists, we offer wholesale prices on our flowers and arrangements. Brides too can purchase expertly made wedding centerpieces and other floral arrangements at a fraction of the normal cost. Brighten up your home, event, or even just your day with an order of fresh-cut sunflowers. Our online florist team is standing by and ready to answer questions or help you choose the perfect sunflower for your next event. Get in touch, or browse our store to see our complete collection of fresh flowers.